At the University of Toronto, Canadian scientists Frederick Banting and Charles Best successfully isolate insulin--a hormone they believe could prevent diabetes--for the first time. Within a year, the first human sufferers of diabetes were receiving insulin treatments, and countless lives were saved from what was previously regarded as a fatal disease. Diabetes has been recognized as a distinct medical condition for more than 3,000 years, but its exact cause was a mystery until the 20th century. By the early 1920s, many researchers strongly suspected that diabetes was caused by a malfunction in the digestive system related to the pancreas gland, a small organ that sits on top of the liver. At that time, the only way to treat the fatal disease was through a diet low in carbohydrates and sugar and high in fat and protein. Instead of dying shortly after diagnosis, this diet allowed diabetics to live--for about a year. 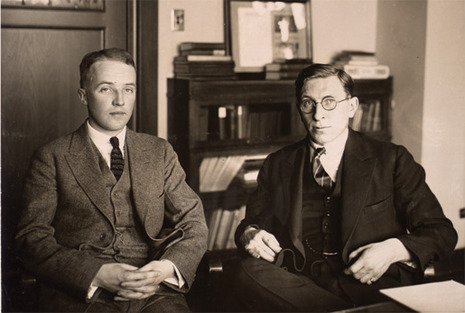 In the fall of 1920 Dr. Frederick Banting had an idea that would unlock the mystery of the dreaded diabetes disorder. Before this, for thousands of years, a diabetes diagnosis meant wasting away to a certain death. 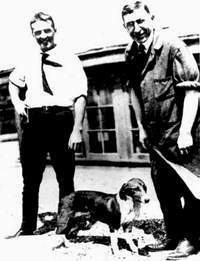 Working at a University of Toronto laboratory in the very hot summer of 1921 Fred Banting and Charles Best were able to make a pancreatic extract which had anti diabetic characteristics. They were successful in testing their extract on diabetic dogs. Within months Professor J. J. R. MacLeod, who provided the lab space and general scientific direction to Banting and Best, put his entire research team to work on the production and purification of insulin. J.B. Collip joined the team and with his technical expertise the four discoverers were able to purify insulin for use on diabetic patients. The first tests were conducted on Leonard Thompson early in 1922. These were a spectacular success. Word of this spread quickly around the world giving immediate hope to many diabetic persons who were near death. A frenzied quest for insulin followed. Some patients in a diabetic coma made miraculous recoveries. It came to Banting in a dream one night- the Nobel-prize winning idea of how to treat diabetes with insulin. With the help of Charles Best, he finally isolated the compound that has changed the lives of millions of diabetics ever since.